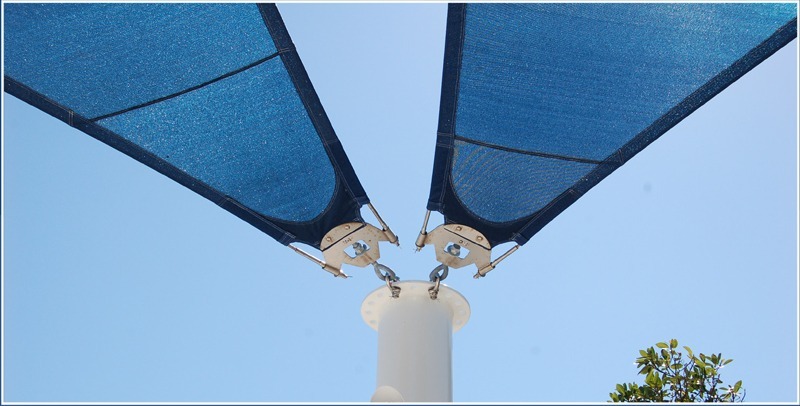 Apollo Sunguard has been in the business of shade since 1993. As the oldest privately-owned shade manufacturer in the country, we’re proud to be a leader in shade innovation. We’re committed to offering quality shade products backed by the best customer service and sales teams in the business. Our shade experts are dedicated to ensuring the success of your next shade project. Our commitment to our customers is why we offer the strongest warranty in the industry, which covers all of our fabric for 15 years and our steel framework for 20. From government agencies, like NASA and the Marine Corp., to public parks, professional sports venues and more, Apollo Sunguard is proud to shade America. clean energy solutions to improve life. Apollo Sunguard offers 32 different styles of shade structure, with 17 different fabrics and 11 standard frame colors available. With so many different options to choose from, there is sure to be a shade structure to meet your needs. Our products are designed to be aesthetically pleasing, while also effective. Our Sunguard Shade Cloth mimics the natural shade of trees by allowing air to flow through, resulting in a temperature drop of up to 20 degrees underneath. Our cloths can block up to 96 percent of the sun’s UV rays, and they’re mold, mildew and fire resistant. We’re also the only shade manufacturer to offer built-in, easy-to-use Quick Release Systems, which allow our fabrics to be easily removed. All of our products are made in our 38,000 square-foot manufacturing facility in Sarasota, Florida, which allows us to maintain the highest level of quality standards. Apollo Sunguard is a service-disabled veteran-owned small business. With all of our products made in the U.S.A., we’re proud representatives of the American manufacturing industry. It’s an honor to have our shades protecting American government and military personnel all over the world.